If, like us, you’re heading to the luxurious land of LAPADA next week we’ve got the lowdown on what to expect - and what to make a beeline for. Have you ever noticed a golden chandelier icon next to your favourite antique shop’s logo? Or perhaps at their booth at an antiquity fair? This symbol is the sign of LAPADA. If you’re looking to source one-of-a-kind pieces, or even if you’re simply after a peek of the treasures on display, you’ll find the fair situated in Mayfair's Berkeley Square. 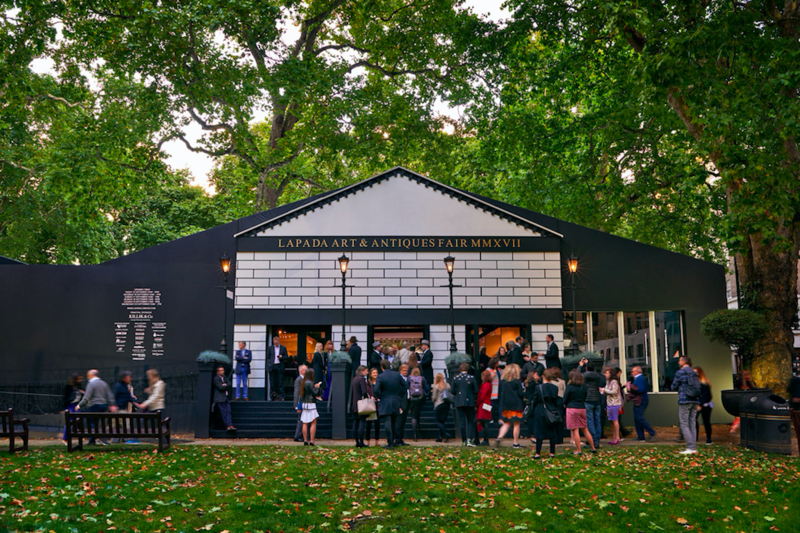 This year, the LAPADA fair is celebrating its tenth anniversary, and will be running from Friday 14 to Wednesday 19 September. There are over 100 specialists that will be brought together for the occasion, promising a variety of decorative arts, furniture, fine art, carpets, tapestries, clocks, ceramics and jewellery from antiquity to the present day. One whose booth we’ll be keeping a particular eye on is Wick Antiques, the previous supplier of Harrods for over 22 years and one of the top antique dealers in the world. 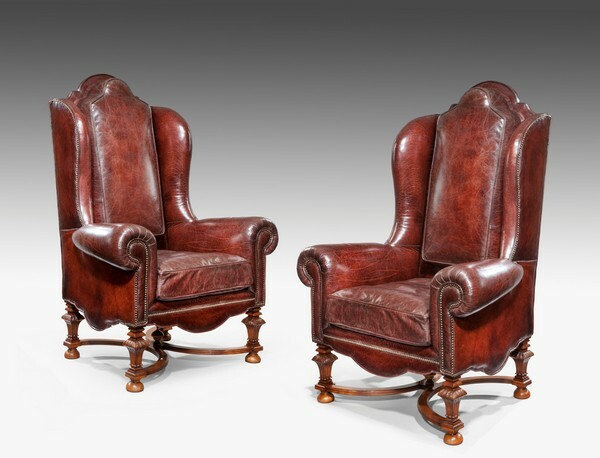 Rumour has it that Wick Antiques will be showcasing this pair of winged walnut armchairs. The chairs were reupholstered in this beautiful burnt burgundy-red finish by the antique dealer themselves. Wick Antiques specialise in leather, colouring all of their leathers in handmade dyes. If our sources are correct, Wick Antiques will also be bringing this large Meiji-period silk embroidery of a sea eagle. 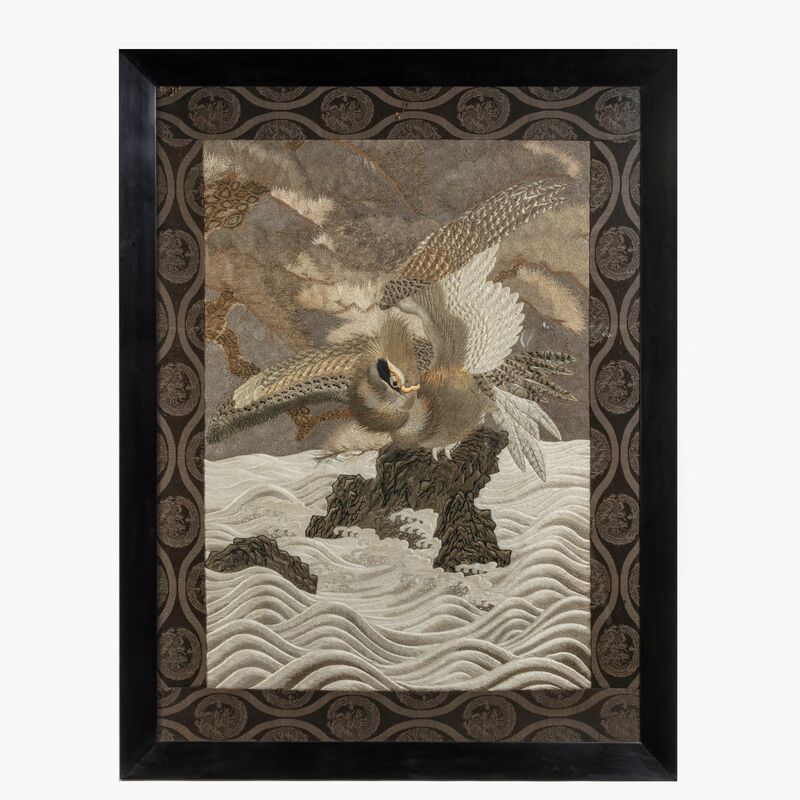 Dating from c. 1890 Japan, the work incorporates cream, brown and black with gold thread highlights, portraying a sea eagle perched on a rocky outcrop scanning the frothing waves beneath him. In Japanese works of art, sea eagles are commonly associated with strength and power. 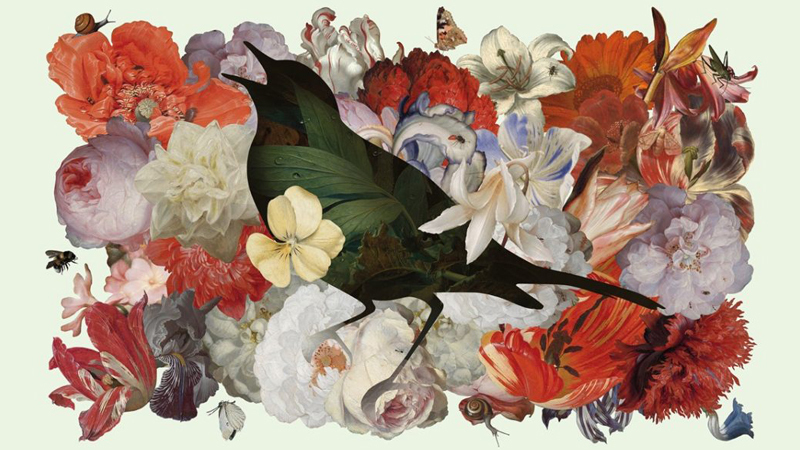 If, for whatever reason, you’re unable to attend the fair and your perusing of antiques is limited to the digital sphere, Wick Antiques still have plenty of items online to tickle your fancy: their website is full of collectibles of all types, for all occasions, and for all buyers. For example, perhaps you’re in the market for a pair of commodes? 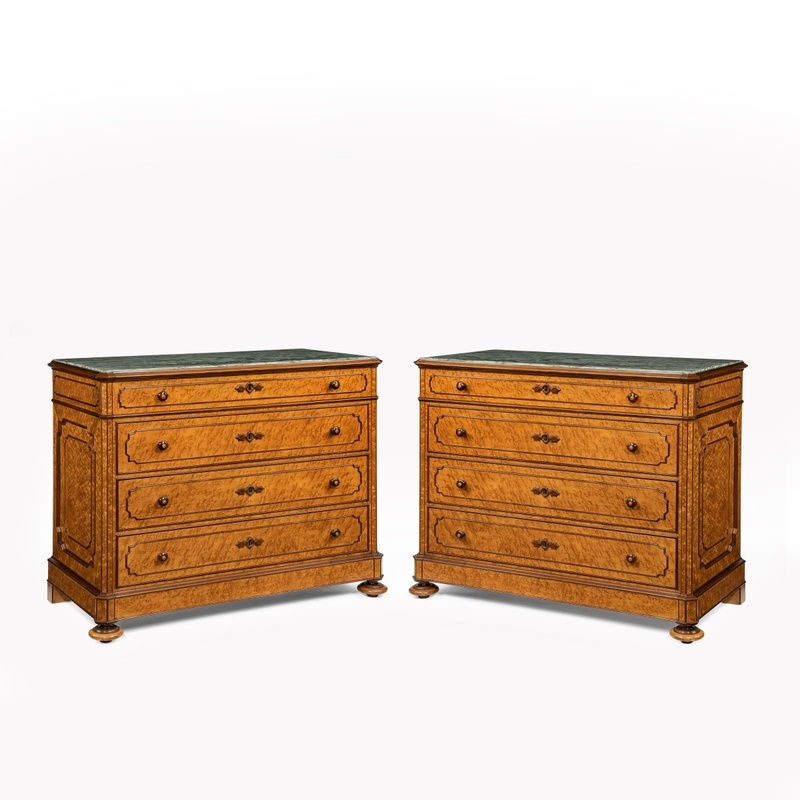 Designed by Zignago and Picasso, this c. 1880 set is flush with warm birdseye maple browns, which are offset by darker, solid kingwood mouldings and handles, and decorated with grey marble set into the top. If commodes aren’t to your taste, maybe there’s something out there you didn’t even realise you needed. Bronzed lobster, anyone? 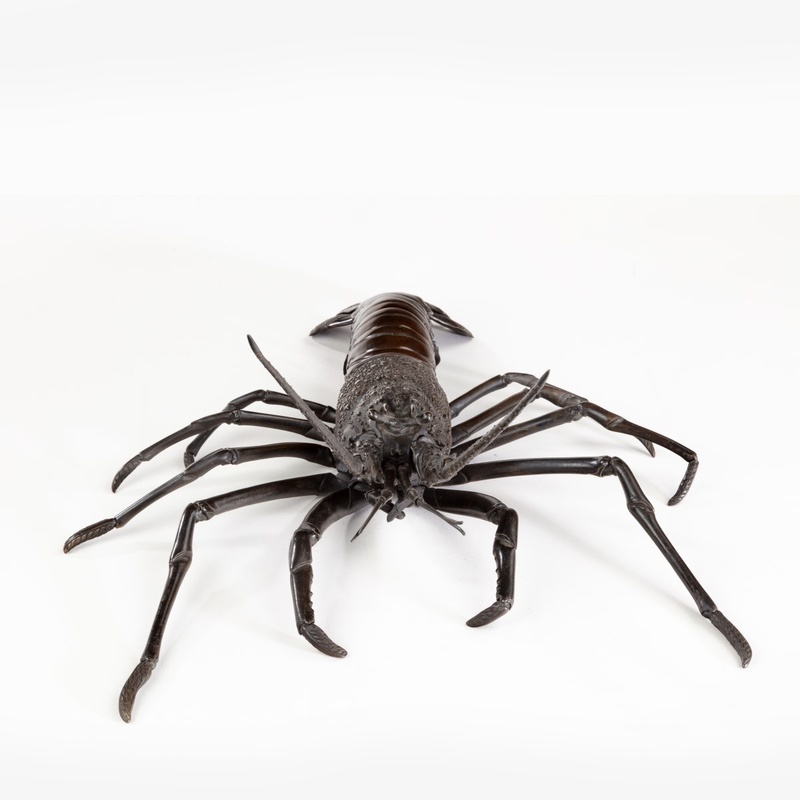 Made in Japan around c. 1890, this Meiji-period bronze okimono is full of realistic detail, from its exoskeleton down to its pincers, mouth and antennae. If you find crustaceans frightening, perhaps you’d prefer a tiger? Tigers can’t help but instill nostalgia. From The Jungle Book, to Rajah in Aladdin, and Judith Kerr’s The Tiger Who Came to Tea (1968), these large cats undoubtedly form a significant past of most British upbringings. 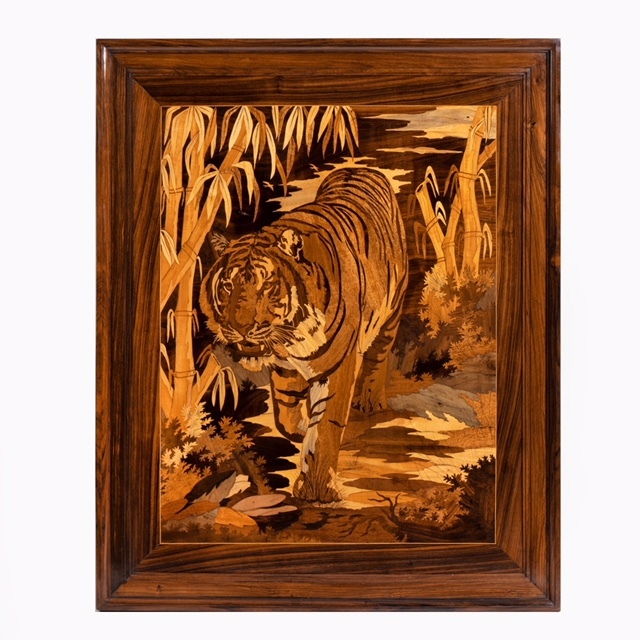 Captured in an intarsia wood panel, this c. 1925 French art deco work of a tiger padding through a bamboo grove is stained and coloured in the Orientalist style. One of the most passionate collectors of globes, Wick Antiques are true specialists when it comes to the spherical maps. 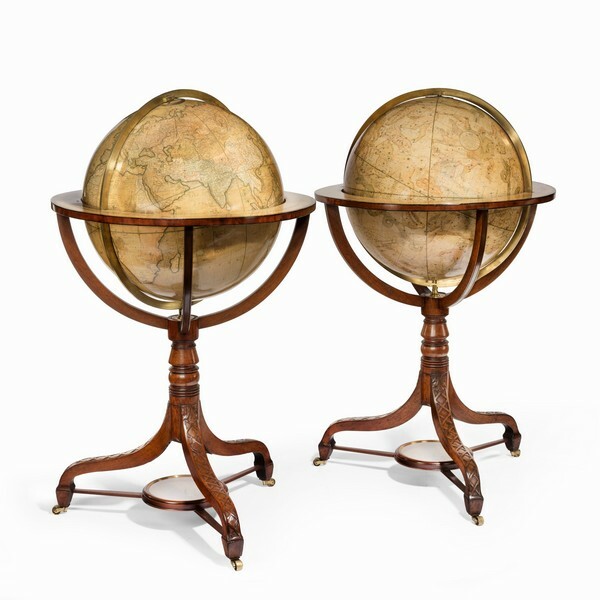 Take this pair of Cary's Terrestrial and Celestial Globes: perfect for any library. Each set on a turned mahogany column with tripod cabriole legs, carved on the knees, papers dated 1790 and 1825. A little bit different, and a lot of fun, Wick Antiques guarantees quality and something for everyone.